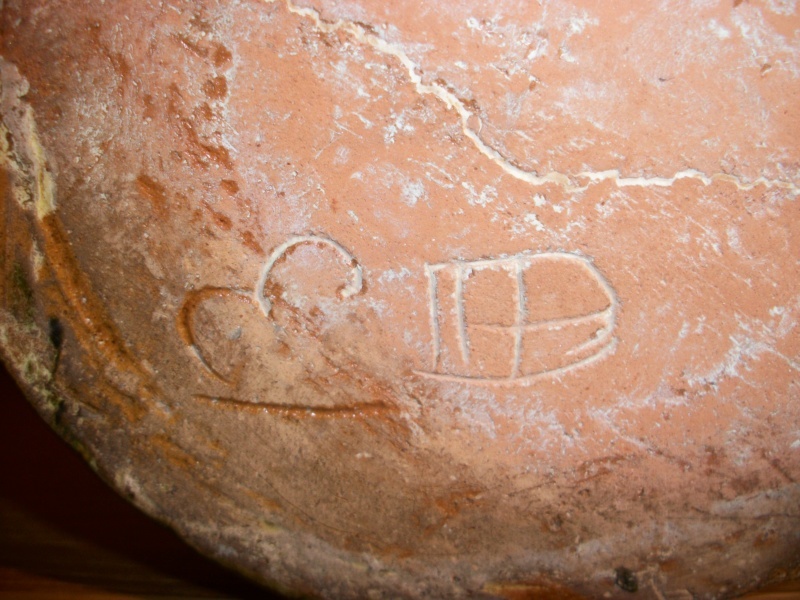 The Potters mark appears to be scratched into the base. Has anybody any ideas please. 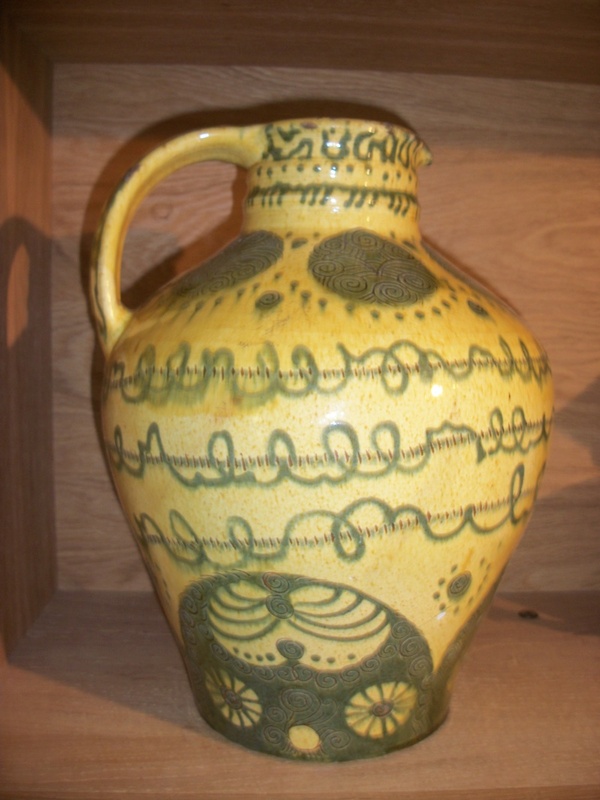 Lovely slipware jug. 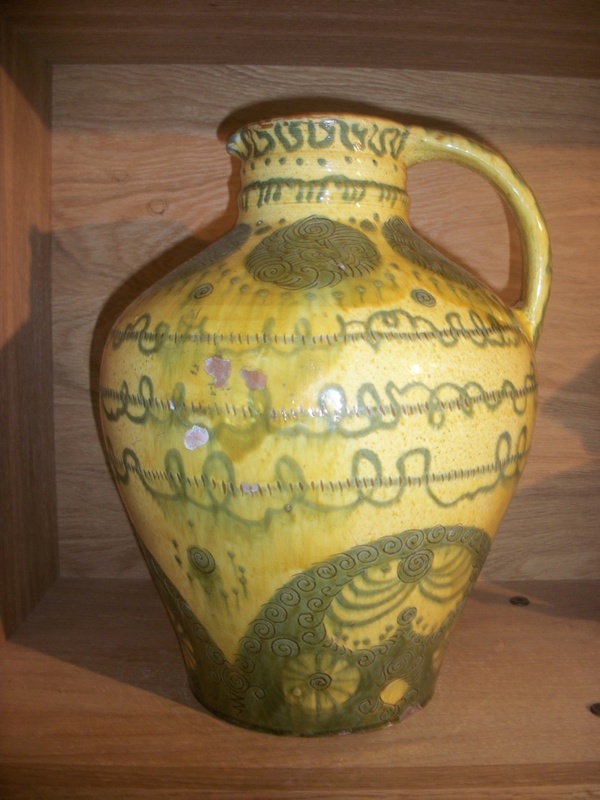 It does look 19thC, but there’s a lot of mid to late 20thC French and Spanish farm pottery made in the traditional style, imported into the UK as decorators pieces so I can’t be sure it’s English. Seems to have the number 13 and a mark I’m not familiar with on the base. Maybe try contacting one of the North Devon museums. Never seen British decoration quite like that.